Experience Years of translation experience: 12. Registered at ProZ.com: Jan 2011. CV/Resume CV available upon request. 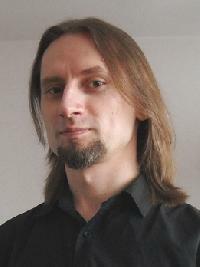 Professional practices Piotr Leszczyński endorses ProZ.com's Professional Guidelines. I'm a professional English to Polish translator specialized in audiovisual, IT and other technical content, commissioned mainly by global end-clients from video streaming, media, electronics and software industries. My most frequent translation or localization projects are feature films, documentaries, TV shows, VAMs, corporate videos, commercials, trailers, video games, utility software applications, manuals, brochures and websites. Additionally, I offer editing, proofreading, conform and consulting services. In 2013 I founded Pulsar Localizations to service direct corporate clients, LSPs and media localization providers even better, providing them with more services and larger outputs. As the leader of this business entity, I've been managing a trusted team of freelance translators and editors for selected projects. My clients include Novell, Codemasters, Demon Wagon Studios and Pentacle. I've been successfully working with several major LSPs as well. I'm a certified Netflix translator/editor for English to Polish projects (Hermes test passed in April, 2017). CV or/and Hermes ID available on your request.